On Sunday, May 29,2016, Alegra Lee Gengler, of Molalla, joined her loved ones who preceded her in death. She was 75. Alegra was a Molalla native, born in 1940. She attended Dickey Prairie grade school and graduated from Molalla High School. Alegra believed in being an active member of the of community. She loved volunteering at the Molalla Chamber, serving on the 4th of July Buckaroo Parade committees. organizing numerous high school reunions, and helping others in need over the years. Alegra also loved meeting new people and enjoyed traveling with family and friends over the years, developing many new friendships along the way. During her career in real estate and later as manager of the Molalla Stage Coach Inn, she greeted countless people with her beautiful bright smile and exuberant personality. A1egra will be greatly missed by the community and her family. Her daughter, DeeAnn, thanks those that lovingly cared for her during the past several years. 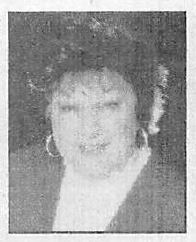 Remembrances for Alegra may be sent to the Meals on Wheels Program at the Molalla Senior Center to continue their vital service to housebound seniors in the area or through volunteer service in her memory and honor.